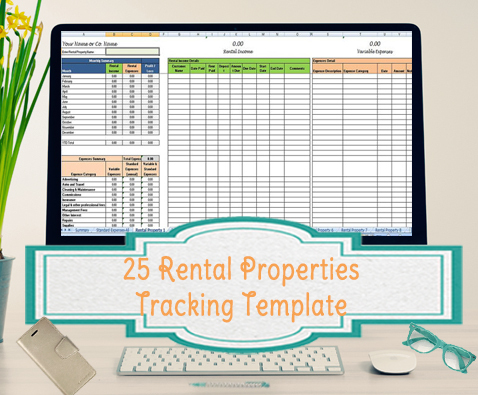 If you are managing up to 25 properties, you will want this easy to use template to help track your rental income and expenses. 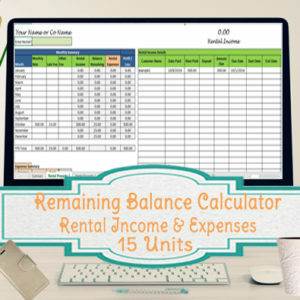 Easily track the rental income and expenses for up to 25 properties. 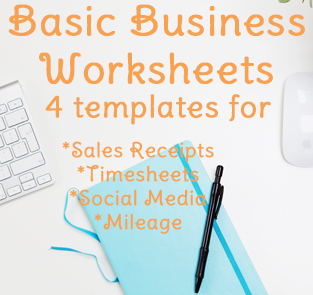 This excel template is set up so that each property will have it’s own page/tab, as well as 1 standard expenses page and 1 main summary page that will bring everything together. See a sample demonstration of how the upgrade version (remaining balance option), works in video below. The basic version is similar, except it does not have the late fee and remaining balance due columns. 1st Section – A monthly summary of income and expenses as well as a summary for total expenses by category. The totals in these summaries will automatically calculate after you enter the details in the next 2 sections. 2nd Section/Green section – This is where you can enter the rental income and any fees. 3rd Section/ Orange section – Here you can enter any expenses related to that property, the date, amount and select from up to 14 categories in a drop down list. THE STANDARD EXPENSES PAGE – This extra page was set up to save you time on entering expenses that are the same amount every month. You will simply enter the monthly rate once and it will populate for all 12 months. Works great for association fees or other types of bills that are the same every month. 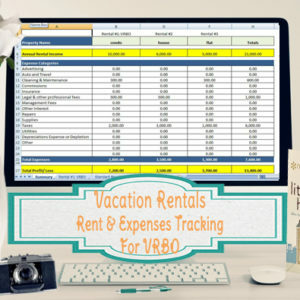 THE OVERALL SUMMARY – This page will summarize the totals for annual rent and expenses per category for all 25 properties. There are also hyperlinks set up so that while you’re on the summary page, you can click the links for each property to go to that property’s detail page. Also available in different versions for 5, 10 or 15 properties here. You will receive via email. 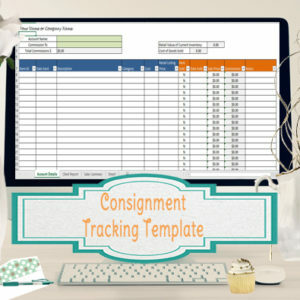 Template is designed in MS Excel, and will include directions in PDF. An Open Office version is available upon request.